In the market, the most hyped VR devices belong to big tech giants like Samsung, Asus, and HTC. As of yet, Apple hasn’t launched a VR headset, but iPhone users can still enjoy VR reality all they want. There are few headsets that are quite compatible with iPhone 5s. These are cardboard style equivalents that might not be as best as VR headsets but can give provide an experience worth the cost. One of kind, mainly because this device focuses on the quality lenses the most. Another notable spec of this device is the 100-degree FOV. If the consumer picks up the magnet controller, it will also magnificently control the action. This headset wins when it comes to functionality and comfort due to the upgraded lenses along with soft leather padding. Those people whose eyes are close or far apart can easily adjust their individual pupil distance (to at least 300 degrees of nearsightedness). From Amazon, you can get this device at $15. If needed the user can get NFC and strap in order to power up the app. This iPhone compatible kit is foldable and compact. Contrary to popular notion, it is not fiddly, however, care is needed. Other than that, it is an ideal solution to enjoy VR world. This one quite soft as compared to other hard plastic headsets. With this, the headset becomes comfortable. 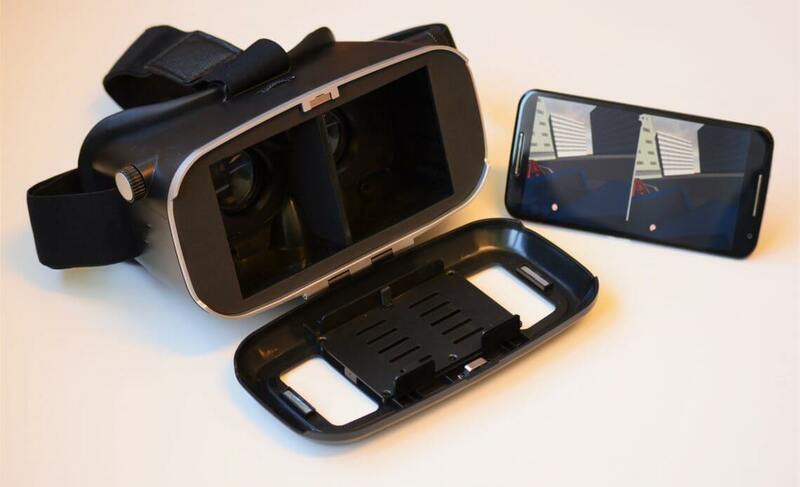 The user can see the VR content with two buttons, fix the headset with an easily adjustable strap. The visual clarity of the lenses is surprisingly good enough for the user! Which ones do you like? Tell us in the comments below.